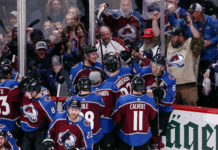 With Dallas’ win over Minnesota Saturday night, the Colorado Avalanche were locked in the second wild card in the West, no matter the outcome against the Sharks. 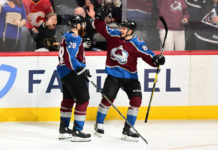 As the lowest seed in the conference, the Avs are slated to face the top-seeded Calgary Flames in the first round. The first game of the series will be Thursday night at the Scotiabank Saddledome. The Avalanche were 0-2-1 against the Flames so far this season. In the three losses, Calgary outscored Colorado, 14-10. 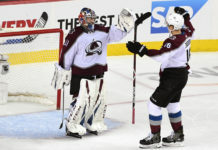 Seymon Varlamov was Colorado’s starting goalie in all three matchups and recorded a 4.44 goals against average. Though, Philipp Grubauer will likely be between the pipes this time around. 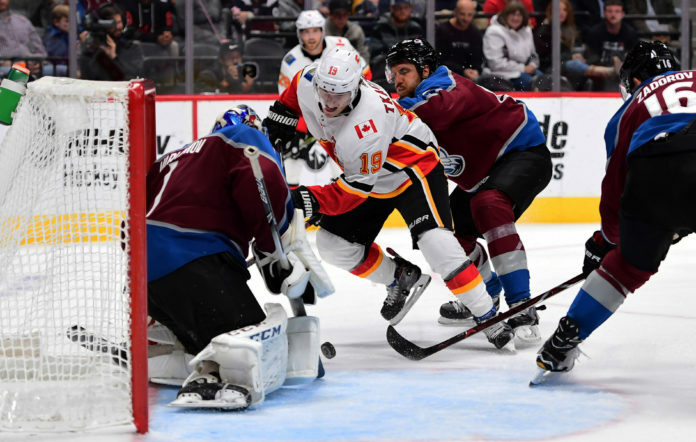 When the Avs and Flames face off, it will be the first postseason meeting between the two teams. Coming into the game, the Flames are 6-4 over the last 10, while Colorado is 7-3.